Rothbury is set to be the first community to roll out broadband using its Rural Community Broadband Fund (RCBF) allocation, thanks to a head start from BT. The RCBF is a £20m central government fund aimed at the hardest-to-reach rural communities that are set to miss out even after completion of the national BDUK project. It was thought this fund would go to alternative providers that wanted to work on small-scale projects with local communities, but distribution of the money has been held up. Communities have been unable to establish whether they will be reached by the larger BDUK scheme as local authorities are refusing to publish detailed plans of the roll-outs, claiming it could damage BT’s commercial interests. Yet, EU State Aid Rules forbid any of the RCBF money to be used if the project it funds overlaps any existing superfast broadband networks. This means communities may have to wait until after BT – the only provider accredited for the BDUK project – has completed its roll-out in 2017 to find out which areas have been left out, only then getting the funding to begin their own projects. However, according to ISPreview, one project is still able to go ahead. 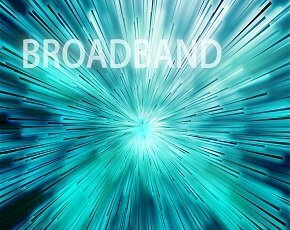 The Rothbury Community Broadband Project (RCBP) was one of the first areas to receive a portion of the RCBF – £460,000 – to bring minimum connections of 24Mbps to more than 1,500 homes. In December, it is set to detail plans of its roll-out with its partner BT, which is putting in additional money to the scheme, and can get digging straight away as state aid has been signed off due to BT’s knowledge of where its other projects – both commercial and BDUK – will touch. The local authority in Northumberland is also applying for more RCBF funding to connect the Uplands and areas west of Morpeth to faster internet. BT has promised to reach 98% of local homes and businesses in Rothbury by the end of 2014. The official launch of the RCBP is set for Monday 9 December 2013. Yes the only projects which will get the green light are those that build and benefit BT. Patching up their obsolete assets for another decade until folk wake up and see what is happening. The whole job will be to do again in 2020. BT have been very clever in ensuring that there won't be any competition from communities or altnets. And the councillors have been brainwashed by vital vision. Its a crying shame, but such is life. It will all become clear eventually. Tell me about it. My County Councillor was trumpeting Kent's BDUK funds. He really didn't understand it when I pointed out that in reality it was simply transferring taxpayers' funds to BT's bottom line. They'd be rolling out into these areas soon enough anyway, whatever they claimed. And as for the exact roll-out areas remaining secret - that's just so wrong, and further bolsters BT's monopoly (again at taxpayers' expense), as this deal shows only too well.